I offer 4 hour, 6 hour, and 8 hour fishing charters from Tampa, FL year-round. Typically, we leave the docks by 8:00 AM, or for afternoon fishing charters by 1:00 PM. 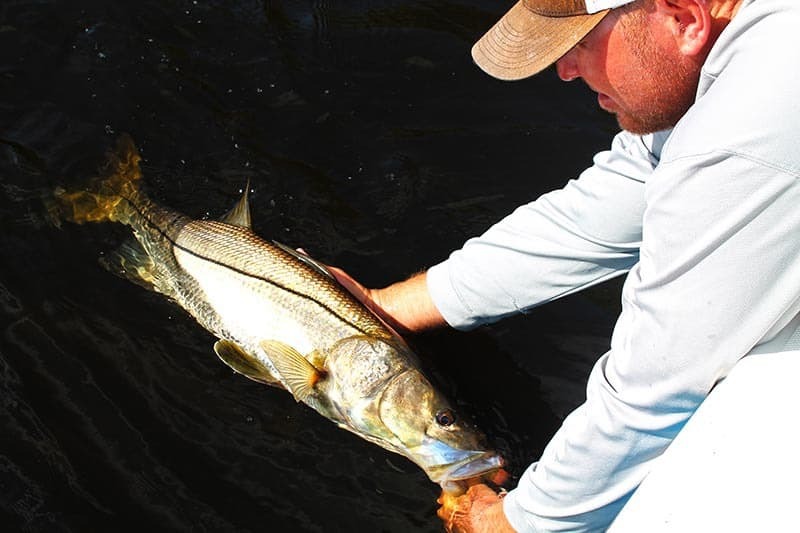 We fish the flats and back-country waters of Tampa Bay and St. Petersburg for Tarpon, Snook, Redfish, and many other species, using light tackle and/or fly equipment. My boat can comfortably accommodate up to 4 anglers, and can also arrange for additional boats to accommodate corporate and large parties. SPECIAL PRICING… LIMITED TIME OFFER !! Call (813) 727-9890 for special fishing charter prices and our discounted rates !! Our rates are seasonal. For up to date pricing, please contact Capt. Jason. I am a full time guide and will firmly commit to the dates you reserve for your fishing charter. In doing so I will turn away other potential customers that request the same date you have reserved. Likewise, and in all fairness, any fishing charter that is canceled with less than 14 days notice will forfeit their deposit. Day of fishing charter cancellations (No Show) will forfeit the entire cost of the trip.